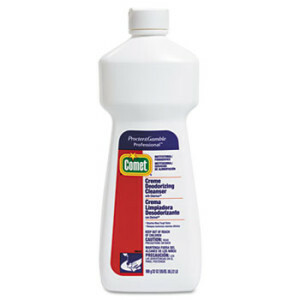 Chlorinated cleanser with a soft abrasive scours and cleans stainless steel and porcelain surfaces without scratching. Clings to vertical and hard-to-reach surfaces, like toilet bowls. 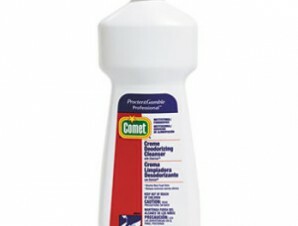 Effective at removing odors from surfaces. Bottle has a portion control, flip-seal closure.